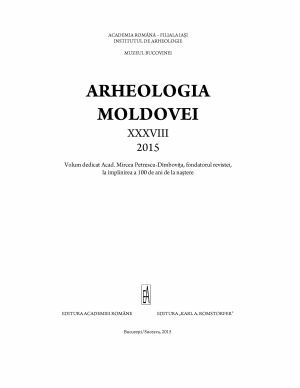 Arheologia Moldovei is one of the most prestigious Romanian scientific journals in the field of Archaeology, issued since 1961 by the Institute of Archaeology in Iasi, under the aegis of the Romanian Academy. Since 1990 the issues of the journal are published yearly. The journal publishes larger studies, papers, as well as notes and reviews pertaining to all fields of Archaeology, in terms of both chronology (from prehistory to the Middle Ages) and thematic (from theoretical essays to excavation reports and archaeometry). The languages of publication are English, German, French and Romanian (the latter with with larger English abstracts). Since its first issue, Arheologia Moldovei was an international journal which, even during the hard times of communism, provided authors from abroad with a forum and an opportunity for enhanced international collaboration. This is demonstrated, especially during the last years, by the large number of contributions by scholars from all over Europe, as well as from the rest of the world.